With a career spanning six decades, The Searchers now embark upon what will be their ‘Farewell 60s’ tour. It all began in Liverpool, where they were tipped to be as big as The Beatles; The Searchers spent 128 weeks in the charts, with sales of more than 50 million, including 3 massive UK No.1 hits. The Merseybeats. 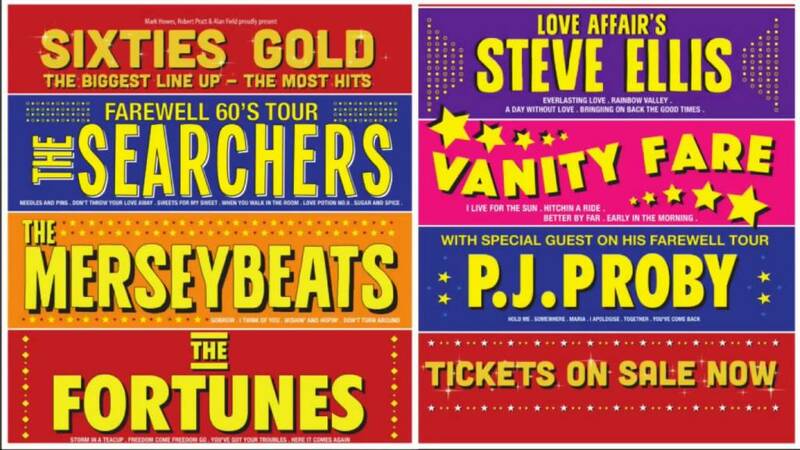 Another success story from the Liverpool Merseybeat boom years. Great memorable hit records including; Sorrow, I Think of You, and Wishin’ and Hopin’. This will be P.J. 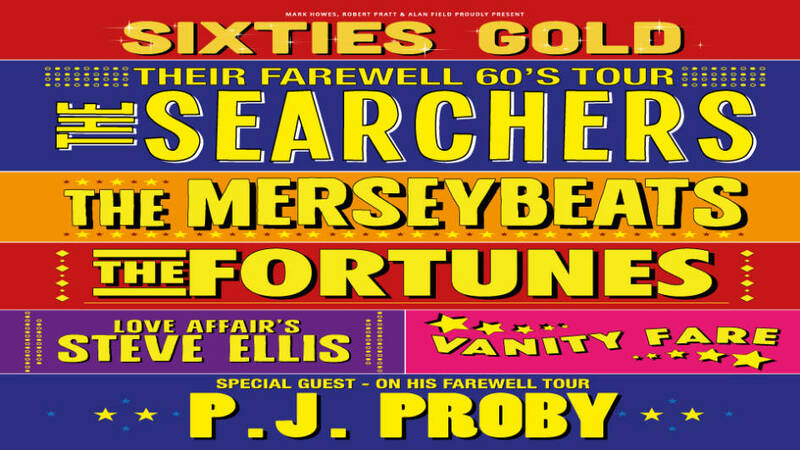 Proby’s final tour. His hit records spent 91 weeks in the charts. Finally, Vanity Fare scored with three top 20 hits in the late sixties, including their catchy Hitchin’ A Ride.